Mr. Humphrey loves meeting new friends. 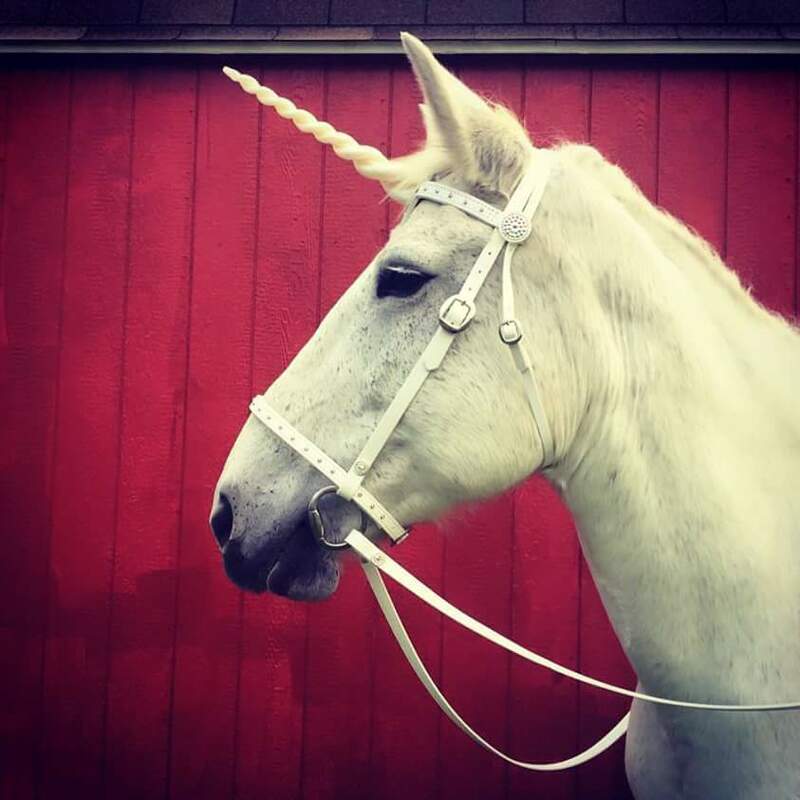 Live unicorns look stunning pulling our Cinderella Top Carriage. 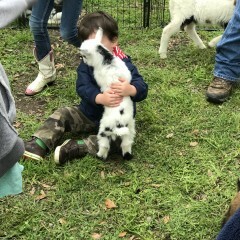 Our baby goats love to snuggle. Mr. Humphrey was featured on the front page of the Gonzales Inquirer. The limousine carriage with a team of Haflingers. The rustic wooden wagon pulled by our team of Percherons, Chief and Molly. The Wagonette is perfect for Western weddings and rides at festivals. The Cinderella Top Carriage will make any Quinceanera or Fairytale wedding memorable. The Wagonette has two 10 foot long padded bench seats and holds 12-15 passengers. Wilbur enjoys relaxing with his water bucket on a hot day. 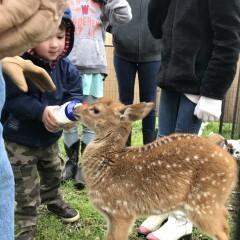 Dodger, an axis fawn, loves his bottle. 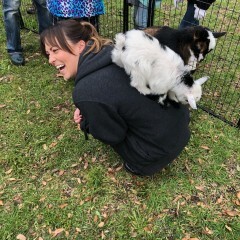 Our Nigerian Dwarf goats are friendly and silly. Live Nativity Scenes are a festive way to celebrate the magic of the Christmas season. We offer hand led pony rides for parties. Our small petting zoos fit a variety of spaces. We have petting zoos for large fairs & festivals. Our limousine carriage prepares to bring a bride to her wedding. Legend, our smallest unicorn, makes little girl's dreams come true. Ewe and Me Storytime brings books to life with animals. A live camel ads to any hump day celebration. Carriages Camels and Critters LLC offers carriages, wagons, pony parties, and a USDA licensed mobile petting zoo. 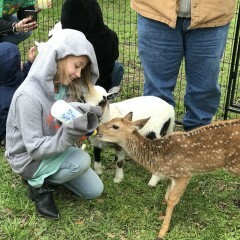 We have petting zoos of all sizes from small backyard party to large festival. We can accommodate multi-day events too. 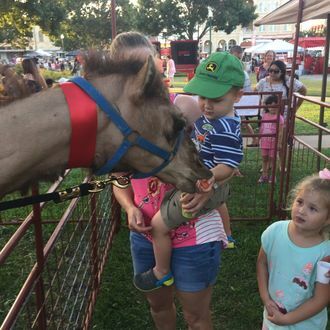 Our friendly camels love to meet people. They are available with or without a petting zoo. During the Christmas season we offer live nativity scenes. We also have live unicorns who are sure to be a big hit at your next event. The unicorns are particularly stunning pulling our white Cinderella style carriage. It was perfect for our b-day party! The kids & adults all loved it! 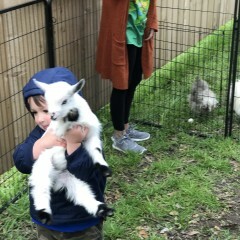 For backyard parties we offer our small petting zoo. 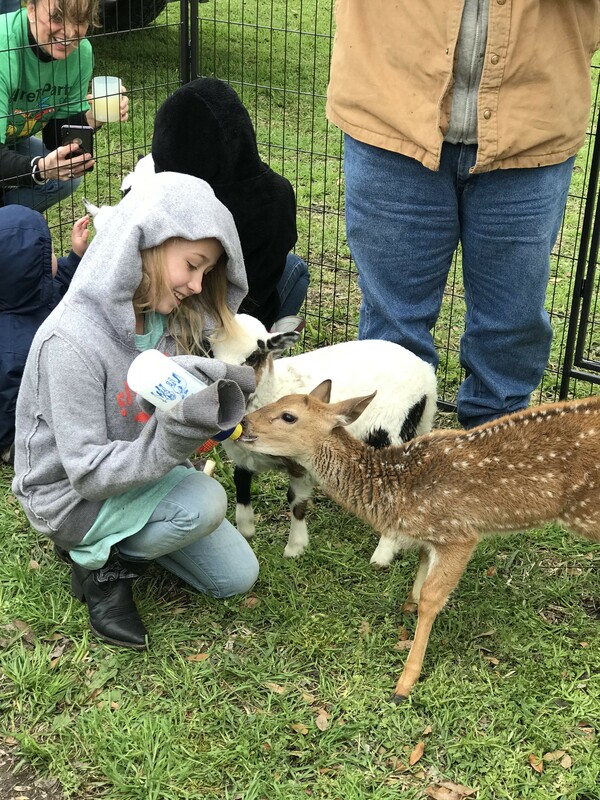 We bring 6-8 of our friendly animals for your guests to enjoy. The animals included will be an assortment of goats, sheep, and bunnies or chickens or ducks. The set up includes four 10' panels and a 4' gate. We prefer to set up on grass. If grass is not available, we will bring a large tarp and wood shavings. 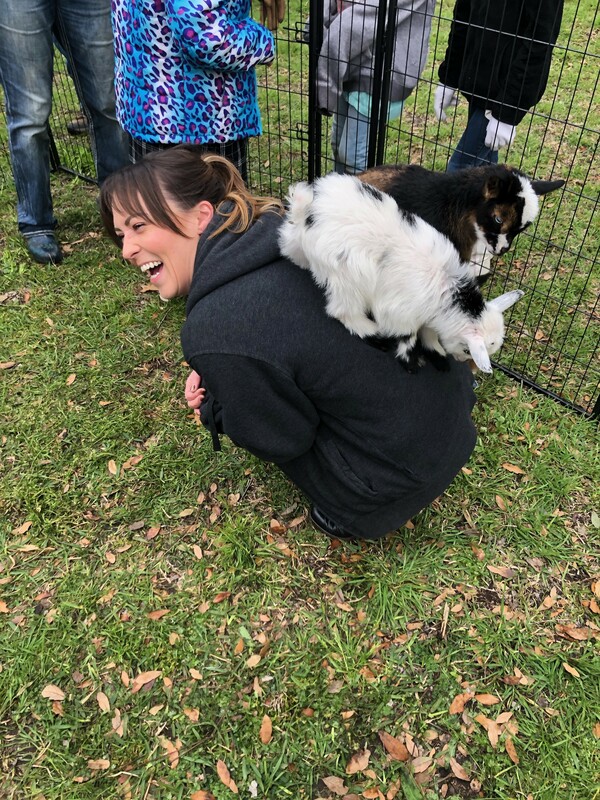 For larger events, we will customize a petting zoo to fit your needs. Our set up is very flexible to fit a variety of spaces. We have a double-gated entrance to keep all the animals safely contained. 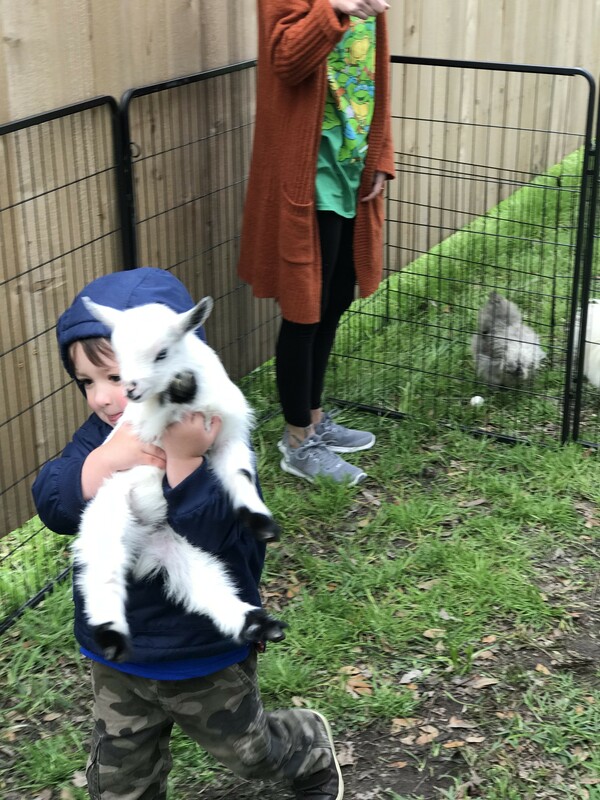 Visitors delight at meeting our cuddly little goats and sheep, watching the ducks splash in their pool, and feeding carrots to our friendly camels. Christmas is a magical time of the year. Make the joy of the season come alive with our live nativity scenes. You can choose from just a camel or bring a whole stable full of animals. The full package includes one camel, one donkey, two goats and two sheep. The owners of Camels and Critters have 26 years experience in the animal entertainment industry. We started out with horse drawn carriages and wagons. Our horses are a big part of the Dickens on the Strand celebration held each December in Galveston, TX. They also participate in the Houston Livestock Show and Rodeo Parade and 21 nightly performances of the Grand Entry. We still offer horse drawn wagon and carriage rides. We saw a need for a quality petting zoo in our area. 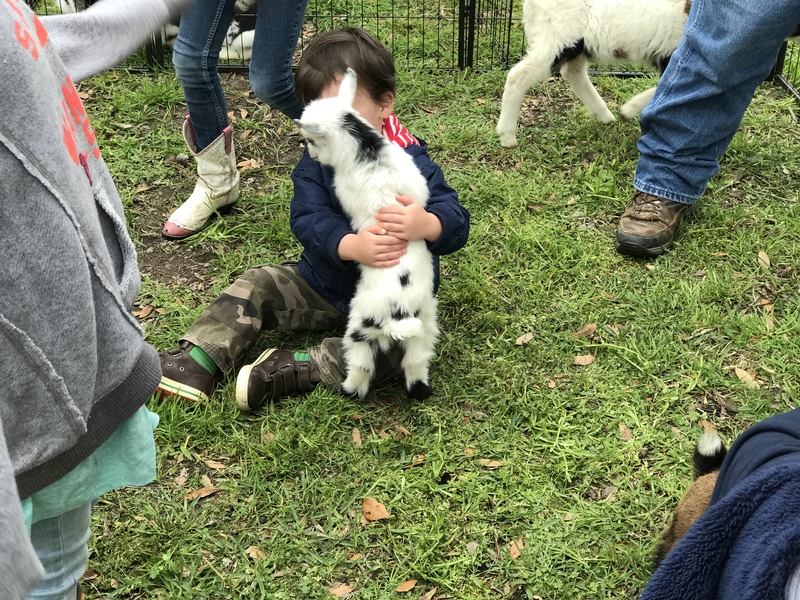 We are now proud to offer a top of the line petting zoo with goats, sheep, micro cattle, mini horses, a mini donkey, a llama, French lop bunnies, silkie chickens, ducks, and of course camels.